Experience the thrill of skydiving without jumping out of a plane. 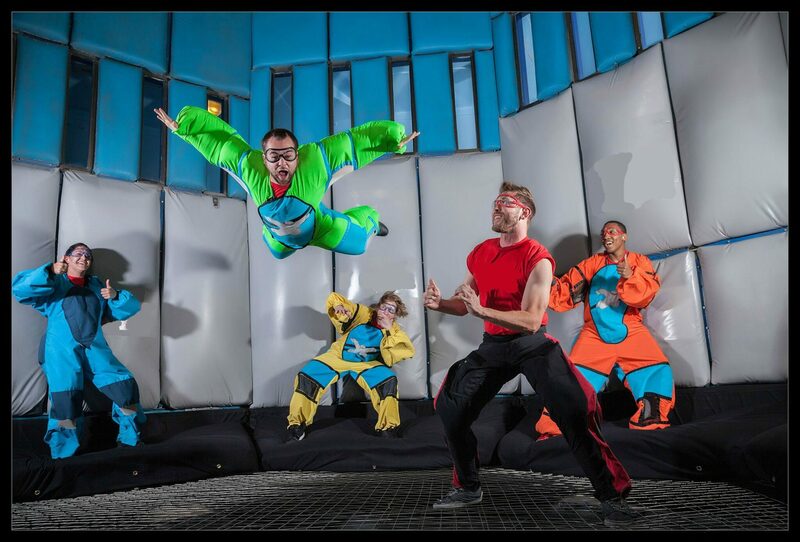 This is the most unique adventure on the Las Vegas Strip. 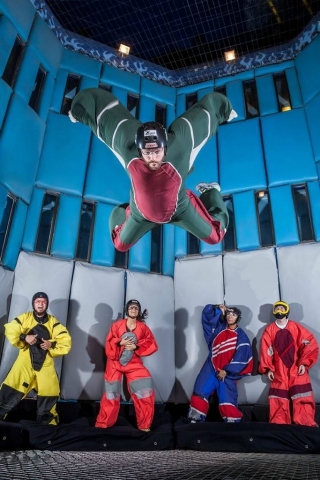 Check-in and watch a short training video then suit up and enter our wind tunnel with speeds up to 120 miles per hour, which simulates the freefall of skydiving. 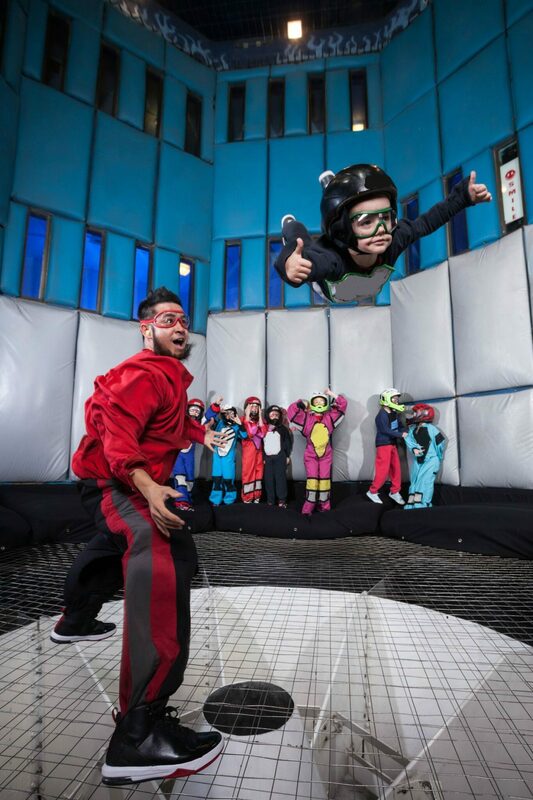 Your personal instructor will be with you for the entire flight guiding and instructing you on body position. Instruction, training, and equipment are included with your flight. 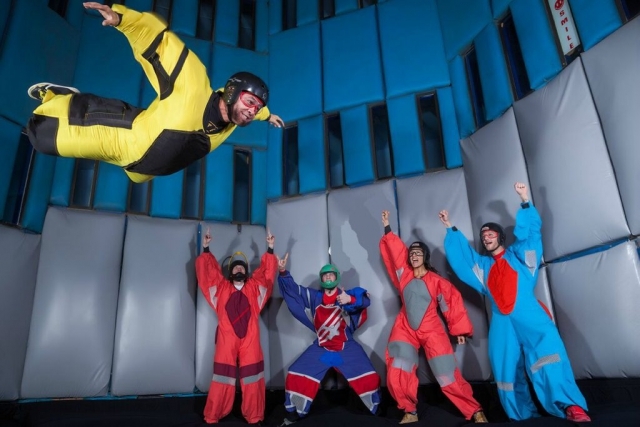 After gearing up, they will enter the 22 ft tall, 12 ft diameter wind tunnel and fly with the assistance of an instructor for 5 minutes.Feel the rush as you free-fall in mid-air for an adventure will never forget! There is no age limit. 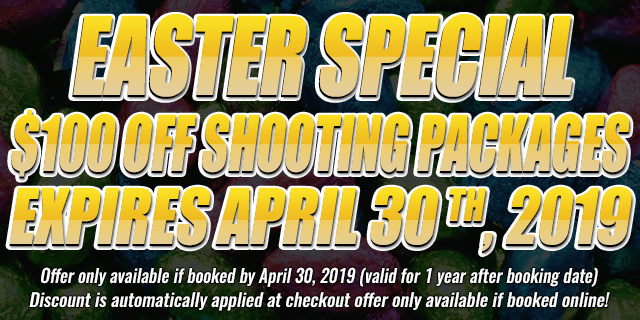 Participants under the age of 18 must be accompanied by a parent or guardian to sign a waiver. 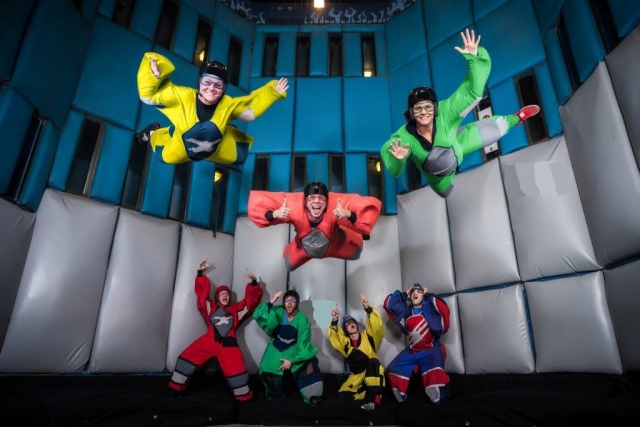 Participants prohibited from flying include people under the influence of drugs or alcohol, women who are pregnant, and anyone who has had a previous dislocated shoulder, neck, or back injury. Weight Guidelines for Women: If your hight is under 5’6 the maximum weight is 160lbs. If your height is 5’6 to 6′ the maximum weight is 180lbs. If your height is over 6′ the maximum weight is 200lbs. Weight Guidelines for Men: If your hight is under 5’6 the maximum weight is 180lbs. If your height is 5’6 to 6′ the maximum weight is 220lbs. If your height is over 6′ the maximum weight is 230lbs. Flyers must weigh at least 40 pounds to participate in this adventure.